Ben Ward is an APA Sports Physiotherapist and accredited Level 2 Road and Track Cycling Coach. During his undergraduate physiotherapy training at the University of Queensland, Ben was involved in competitive road and track cycling and gained accreditation as a Level 1 Coach. It was during this time that he developed a keen interest in bike fit, reading widely on the topic and experimenting with his own fit. Following his graduation in 2005 Ben commenced working in private practice where he began offering basic cycling analysis and bike fitting services around his general physiotherapy duties. The number of clients seeking these services increased steadily and soon reached the point where a dedicated space and separate business identity was required, and so in 2007 he founded Cycle Dynamics. In his professional practice as a clinician bike fitter, Ben combines advanced clinical reasoning skills with a high attention to detail, an in-depth knowledge of cycling biomechanics and valuable practical experience gained in the course of performing thousands of bike fits since 2006. He has also had the priviledge of collaborating with several highly-regarded custom frame builders over the years which has helped deepen his understanding of bicycle design and fit. Ben is also a researcher in the field of cycling injury/performance and bike fit. In the course of his professional practice over the years he has observed that both shorter and taller riders (with respect to average males) appear to have differing injury profiles and pose greater bike fitting challenges on standard equipment. This area has received little attention in the scientific literature and so he applied to undertake a PhD at the University of Queensland (UQ) and Queensland Academy of Sport (QAS), commencing his candidature in early 2016. Broadly speaking, the aim of his thesis is to interrogate road bicycle design and configuration from the perspectives of comfort, injury and performance across the adult height spectrum. Although his main clinical interest is centred around cycling, he is an experienced physiotherapist in the general private practice setting, other areas of clinical interest being the management of overuse lower limb injuries in endurance athletes and spinal pain. 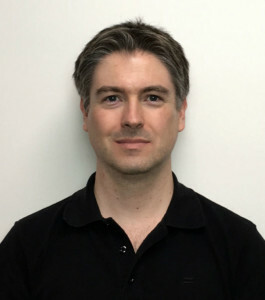 Since 2012, Ben has also been engaged periodically by the Master or Physiotherapy (Sports) degree program at The University of Queensland as a clinical educator (providing supervision of postgraduate sports physiotherapy students) and lecturer on cycling analysis.